Almost everyone has a view on what ‘digital’ means and unsurprisingly these can be different from one person to the other. It is for this reason that we identified the need to have sets of principles, setting a common way of thinking. The first set of principles is around Digital Design. These Digital Design Principles are a small set of statements that provide a way of challenging how we think about the development of projects to see if there is a firm foundation for the final Digital Delivery. Today the government is expected to interact and provide its services through multiple channels, including digital channels such as websites, email, mobile applications. Through the eGov programme we aim to develop and build digital services that meet this need. In a previous blog post we described the eGov vision and you can find more information about the programme here. A multitude of digital service projects have been delivered and we have a range of digital projects in the pipeline. To increase the success rate of these projects, we believe the Digital Design Principles, if followed together, will help the government build great digital services. The purpose of the Digital Design Principles is to ensure a common approach for projects within the States of Jersey to deliver good quality, user-centered, value for money digital services. The Digital Design Principles were developed for everyone and anyone involved in technology enabled change within the States of Jersey. This includes those working within different departments of the States, not just those working in the Information Services Department, and of course our supplier community. Using these Digital Design Principles at the various stages of any development allows us to check that we have started the project from the right basis, the user, and have a scope that will deliver benefits within months not years. As the project progresses the principles provide an on-going check that the approach is still valid and remains based on firm foundations. Checking frequently that we are still doing the right thing for the right reasons becomes a habit and leads to good digital delivery. Where did these principles come from? It was important to limit the number of Digital Design Principles so they were easy to remember. Too many and they have to be constantly checked, too few and they do not cover the range needed to provide a sensible digital government. We didn’t want pages and pages with people having to look them up every time they wanted to do anything. We also had a look at the Australian Digital Service Standards and the England and Wales Local Government Principles. After looking at what other jurisdictions had produced we considered each statement in the context of Jersey and the local experience. The size of Jersey and the sophistication of the citizens provided a background for the selection and wording. After reviewing the principles of the above mentioned governments and quite a few other suggestions, we arrived at nine principles. This is a small enough set to be memorable but provides the required breadth of coverage to be useful. 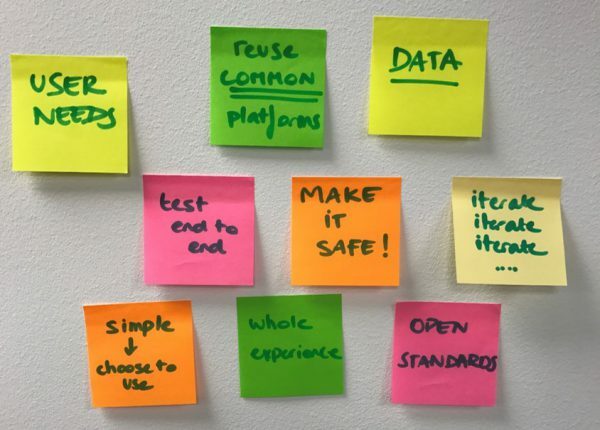 There is a lot of commonality in the design principles from across the globe and most of them rang a chord with our own eGov and digital vision. Similar to others, we believe that we always need to start with the user, internal or external, and put the customer at the heart of what we do. Similar to Amazon, Facebook and other online giants who provide services that are easy to use without training, we want to bring that same ease of use to the users of States of Jersey services. There are also key differences in the principles between Jersey and others. In general these are in areas where the other jurisdictions are being more proscriptive about the way things are done and the tools used. Our principles for example differ from the United States in their leaning towards particular technologies and development methods. As we described in our previous blog, we strongly believe that a key part of delivering a successful digital project, is to have the opportunity to work with digital suppliers that have expertise and provide complementary skills. What sort of thing do they cover? All the jurisdictions we looked at had principles around developing with data, continuous measuring how well the service is being used and what the customers think of it. 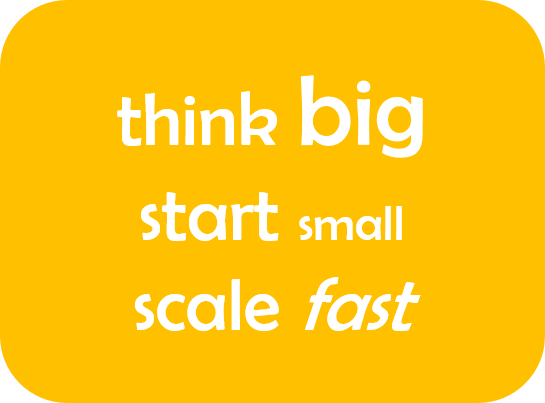 They are all built around starting with something small but useful, and building on it based on feedback. It goes without saying that all the jurisdictions want to develop services that are safe and trusted by the users. This is closely linked to the topical theme of cyber security. One of the key elements of the recent Draft Digital Policy Framework was Robust Cyber Security. We believe that trust is also about being open with you and how we use your information. The General Data Protection Regulations (GDPR) that are due to come into force will mean even more care in handling personal data. Having said all of this, the Digital Design Principles are not set in stone and we’d like to get your input on them to continuously improve them. Get involved and let us know what you think about our Digital Design Principles on comment.gov.je. We want to know your thoughts and ideas. Graham is an Enterprise Architect working in the States of Jersey Design Authority. Graham has been in the technology industry for longer than he is prepared to admit to. He has worked on the delivery of large programmes for several UK Government organisations. Find Graham on LinkedIn or send an email.